Do you need to replace your current grill? Have you ever thought about purchasing a pellet grill? Pellet grills are a great way to have your food tasting deliciously smoked and making you feel like a pro! The hardest part about buying a grill these days is that there are so many to choose from. This can be even more difficult if you’ve never purchased a grill before. To help you in your final purchase decision, we are going to be reviewing the Camp Chef PG24 Deluxe Pellet Grill. The Camp Chef PG24 Deluxe Pellet Grill comes with a lot of features to enhance the flavor of your food and provide an elite grilling experience. 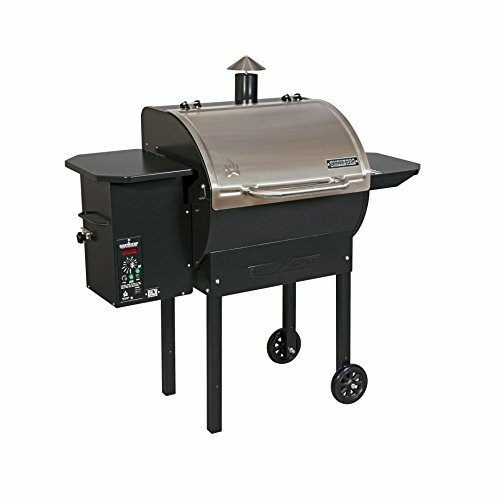 What struck us right away is that this product is very competitively priced with many other grills on the market today. There are numerous grills priced well over $1,000, but this comes in under $800, making it among the more affordably priced grills. Under the Camp Chef brand, this comes with one of the most elite digital control systems on the market. This allows you to control the temperature on the inside, by just setting your desired temperature on the screen. This directly sends a message to the auger machine that will automatically feed the pellets to the grill to maintain the temperature you need. This also produces the best amount of smoke possible to have an authentic smoky taste. Simply set the temperature and you can leave it to do its thing, without having to babysit it for hours. What makes the Camp Chef PG24 Deluxe Pellet Grill unique is its fantastic versatility. It has the ability to grill, bake, braise, smoke, and barbecue any food of your choice with an enhanced wood-fire flavored smoky taste. The temperature can range from 160° to 500°, depending on what it is you are cooking and what you desire most of all from the process. This also comes with a meat probe, allowing you to check the internal temperature of the meat to know when it is done, or when you need to let it keep cooking for a little while. Also, by just pushing a button, you can easily toggle the grilling temperature. In order to cook a lot of food, there is a cooking area of 570 square inches. This space also includes an upper warming rack that can easily be removed. This allows enough space to cook for a lot of people. Using the warming rack, you can also warm things like hamburger or hot dog buns. 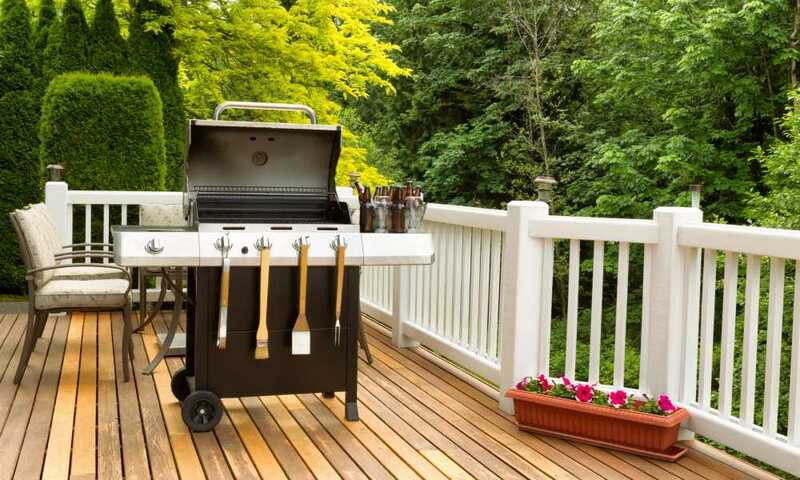 Cleaning a grill can be a very taxing experience, especially if you do not know what to do. The Camp Chef PG24 Deluxe Pellet Grill comes with a lever that you pull which will easily clean out all of the ash. This is a system that is not on many other grills. Once you get the Camp Chef PG24 Deluxe Pellet Grill, it arrives ready to assemble, and the assembly process is easy. There is a great video on the Camp Chef website where you can simply get cooking right away. After a few minutes, you can load up the grill with chickens, hamburgers, or anything you want! After testing it out ourselves, we believe that the Camp Chef PG24 Deluxe Pellet Grill is a fantastic grill on the market today. It comes with a variety of features that you can use to have a perfect cook. One of the best things about the grill is it comes with a lot of cooking space, which makes it fantastic for larger sized families and friendly get-togethers. We did find that the ashes did need some vacuuming to get them all out, but this is common when it comes to using a pellet grill.